Football: Uefa Nations League Group 3match Italy vs Portugal at Giuseppe Meazza (San Siro) stadium in Milan, on November 17, 2018. 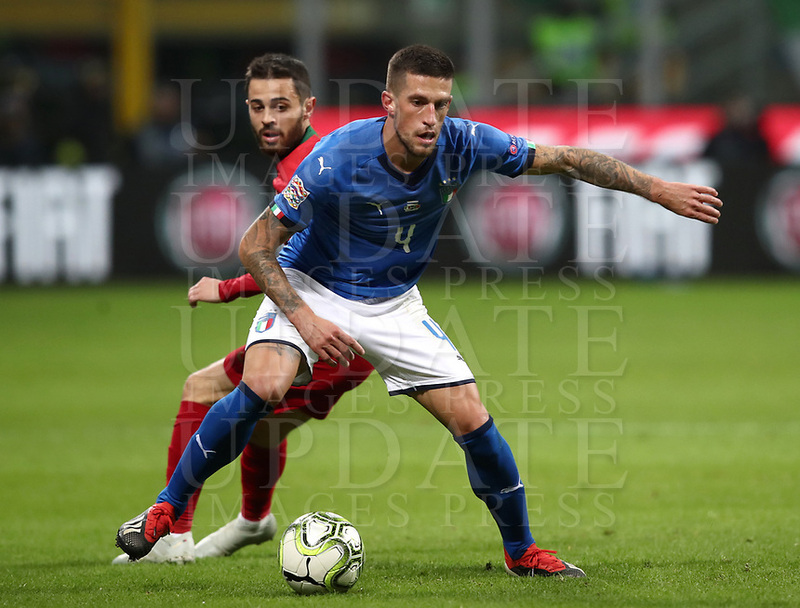 Italy's Cristiano Biraghi (r) in action with Portugal's Bernardo Silva (l) during the Uefa Nations League match between Italy and Portugal at Giuseppe Meazza (San Siro) stadium in Milan, on November 17, 2018. This image is not available for online sale. Please contact us regarding the legal use of this image.